UVic’s Department of Writing can now add the words “award-winning” to the description of its acclaimed web series, Freshman’s Wharf. The 10-episode, student-created, online comedic show beat out four other entries to win Best Web Series award at the 12th annual Leo Awards on June 11. Originally created as a class project, Freshman’s Wharf evolved into a for-credit directed studies Writing course with 10 episodes being created, performed and shot by a mix of UVic students and alumni. Written by Rachel Warden, and mentored by Writing associate professor Maureen Bradley and digital media staffer Daniel Hogg, Freshman’s Wharf offered a light-hearted look at first-year student life at UVic. Writer Warden, as well as Bradley, Hogg, Dillon-Davis and Robertson, were all in attendance at the gala Leo event, which was hosted by award-winning humorist and CBC personality Bill Richardson at Vancouver’s Fairmont Hotel. 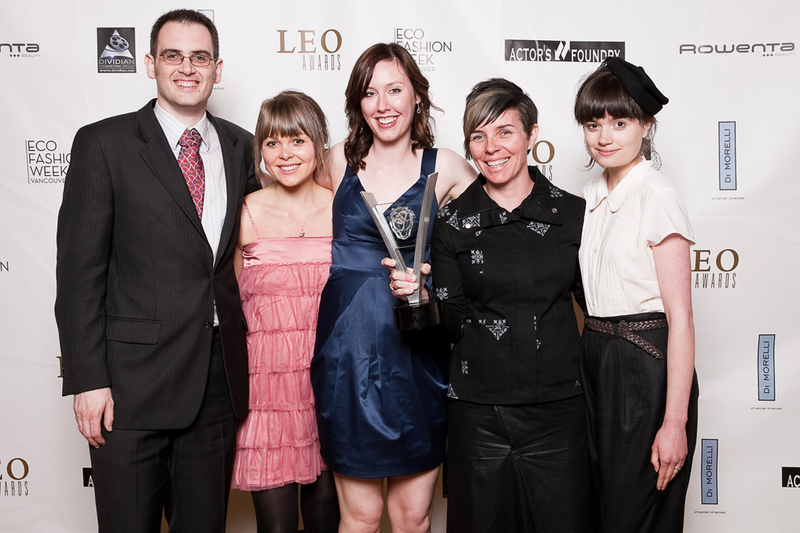 The Leo Awards are an annual project of the Motion Picture Arts and Sciences Foundation of British Columbia and celebrate excellence in artistic achievement in B.C.’s film and television industry.